The shootings at the Pulse Nightclub were a truly tragic event that had an effect on many people, even those who were not directly involved. When I was given the name of the person to create a representation of, Cory Connell, I immediately sought after pictures of him to begin working. The pictures that I found of Cory gave me the idea that he was an adventurous, fun, and caring individual. After completing my first work, I was not fully satisfied, so I began another. In the end, I decided it would be best to send both artworks for his family to cherish. It is amazing how this project has brought together artists, families, and others in the community. I have truly enjoyed being a part of this project, and feel that it was an honor to be chosen to work on something so special. My heart goes out to Cory’s family and friends, as well as all of the other families who lost their loved ones. My name is Whitney Jordan, and I am from Northeast Georgia. I am an elementary art teacher who also enjoys working on my own artwork when I have time. 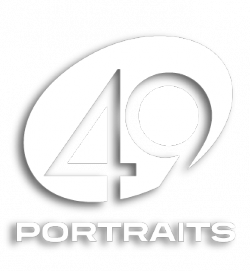 I learned about the 49 Portraits Project via a friend of mine from college when she posted the information on Facebook. The more I read into the project, the more I felt lead to create a portrait.